His publicity photos claimed he was the 'originator of jazz and stomps', an example of the kind of outrageous and colourful statement frequently associated with this most colourful of jazz characters. Morton was born Ferdinand Joseph Lamothe in New Orleans, and he grew up in that city's creole society. 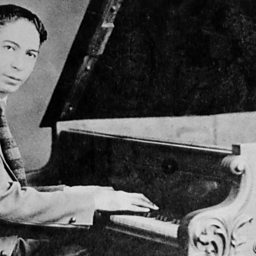 After leaving his hometown in 1907 to become a wandering pianist, he seldom returned there, yet his subsequent music was to include some of the most brilliant examples of what is now known as New Orleans jazz. From 1907-1922 he criss-crossed the United States, drawing in a wide range of musical influence, and becoming fully aware of the emergence of jazz. By the end of that period, he was based on the West Coast, where he not only played, but began publishing his compositions. In 1923 he moved to Chicago and soon began a series of outstanding recordings both as a pianist and with various bands. 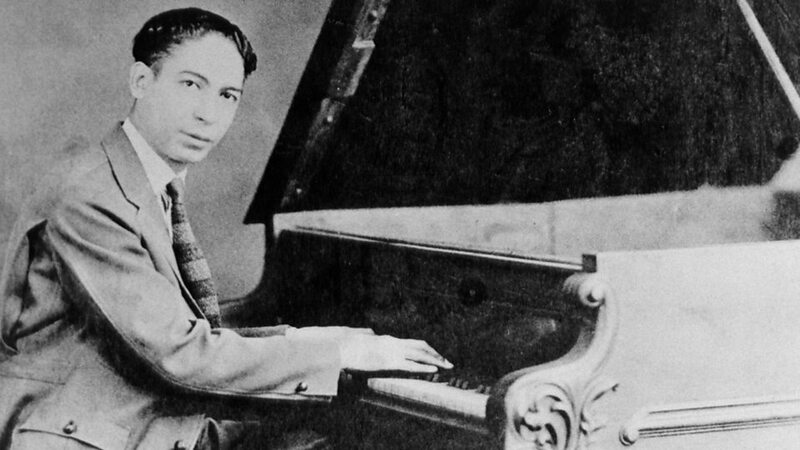 His solo piano work marks a vital phase in the transition from ragtime to jazz, but Morton also incorporated many of the rhythmic ideas of his Hispanic Creole heritage. His band discs, notably those from 1926-7 with his Red Hot Peppers, are classic examples of the New Orleans ensemble style, with trumpet, clarinet and trombone parts weaving together in collective improvisation. But Morton also arranged his recorded performances to fit the playing time of the 78 rpm disc - thereby adding a new skill to that of the composer and arranger. He became the first jazz composer to exploit the record as an aspect of his composing. 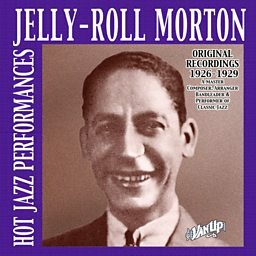 With the end of the golden age of Chicago jazz and the onset of the depression in 1929, Morton moved to New York, but his career declined and he was seen by many as a loudmouthed has-been. He proved his critics wrong, both with a marvellous series of autobiographical discs made for the Library of Congress in 1938 that build up a fascinating portrait of turn-of-the century New Orleans and its music, and also in further sets of band discs from 1939 and 1941. He died just as the revival of interest in New Orleans jazz was about to get under way.